If you are attending BlogWorld NY at the Javits Center this week, you may not be familiar with the other conference that is co-located with BWE – Book Expo America. BEA (as those in the trade call it) is the largest convention of people in the book trade in North America. I’ve worked in publishing all my adult life, making this my 206th BookExpo, give or take. As such, I am uniquely qualified to give you the 411 on how to make the most of your BookExpo experience. 1. When you walk into the BEA hall, you’ll see a huge show floor packed with representatives from publishing houses of all sizes, wholesalers, packagers and others who serve the book trade. The best thing you can do is to check out the floor map and see what booths you want to visit and make a plan to hit them in rapid succession. You may not know who Random House publishes, but their exhibit description lists imprints and key authors. Take it all in when you make your plan. 2. In many booths, you will see books. Huge overwhelming stacks of books in many cases. One of the primary purposes of BEA is for publishers to raise awareness of recently published and upcoming books. If you see a stack of books on the aisle, most likely they are for the taking. Sometimes they are on a table or against a wall. They are intended to be promotional copies for attendees to bring home. Know that it never hurts to ask someone working the booth if you can take a book just to be sure. I’ve had people climb over me to open cabinets to take books marked FOR DISPLAY ONLY. Don’t be that person. 3. You may pick up a book that doesn’t look totally like a finished book and is called an “ARC” -this stands for advance reading copy. That means the book isn’t published yet but will be out later in the year. The publication date is usually on the back of the galley. You don’t want to write about the book too far before the publication date, so make sure you take note of the date or ask for someone in publicity to double check ideally when your review should run. 4. BEA has many scheduled book signings. There are 3 types of signings. In-booth autographing sessions take place in publishers booths. Schedules are sometimes in the BEA guide, but if you know your favorite author writes for, say, Hyperion, you may want to stop by their booth sometime on Tuesday to see what’s going on during the show. There are some really good signings that only take place in publishers booths so definitely don’t discount them. There are also book signings in the official autographing area. For some, you get on a line slightly before the appointed time and wait. For others, you need to get a ticket – these are the more celebrity oriented authors. Tickets are available for signings same day starting at 7am. You can find more information about both types of autographing sessions on the BEA site. 5. Having access to all the books you could possibly ever want can be an overwhelming experience…for your arms and shoulder muscles. Be aware that you are going to have to lug all these books around ALL DAY. Think before you grab – a lesson I have to remind myself every year. Do I *really* want this book? Is my friend sure to love it? If you can’t resist, BEA does maintain a bag check area where for a small fee you can stow your loot. 6. Lastly, but maybe most importantly, if you regularly review or write about books on your blog, ask to get the card of someone in publicity or marketing so you can send them links to your blog. BEA is a great opportunity to build relationships with those in publishing that will definitely pay off for you in the long run. The one thing we all have in common on the BEA show floor is a love of books. Share yours with everyone you can find. Let the exhibitors know you are from BlogWorld – the more these two conferences can learn about each other, the better. I hope this helps you make the most of whatever time you are able to spend on the BEA floor. For those who are also BEA veterans, are there other tips you can share? 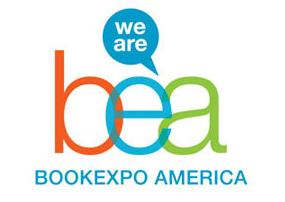 What are you most excited about seeing at BEA? Ellen Gerstein is the Director of Marketing at John Wiley & Sons, the global publisher located in Hoboken, NJ. Her personal blog is Confessions of IT Girl.